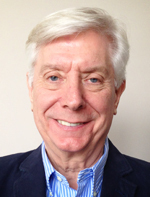 Roger Homer, a native of London, England has lived and worked in Europe and North America for major global automotive and industrial manufacturers. He held key management positions with Goodyear in both their automotive and industrial divisions throughout a 25 year career. After 3 years as Director of Sales and Marketing in the power sports industry for a U.S. parts manufacturer concentrating on the Japanese market, he joined the ContiTech division of Continental AG as a consultant. At ContiTech he was responsible for growing sales and market share for the Power Transmission Group in North America in both the automotive aftermarket and industrial segments. He has been very actively involved in the M&A process in both buyer and seller roles throughout his extensive business career. Educated at Belfast College of Business Studies and Queens University, Belfast, Roger brings a wealth of business knowledge and experience in diverse industries and global markets.